Providing North America with professional, fast and eco-friendly junk removal services. You’re in the process of planning a big move, renovation, or cleanout project in Albany and are doing everything you can to keep the project on a tight budget. One thing you’re doing is hunting for cheap dumpster rental prices. You want to have a dumpster on hand so that you can easily dispose of debris, trash, or any old belongings you don’t need anymore. At the same time, though, you don’t want to spend an arm and a leg on a dumpster. What do you do? One thing you need to realize as you start shopping for dumpster rentals is that they can vary quite substantially in price. According to HomeAdvisor, the national average price for a dumpster rental in 2018 is $395. However, the “typical range” for rentals runs from $222 to $522, while the national “high end” is around $900. The so-called “low end” is closer to $200—though you can pay even less than that, depending on how much junk you have. Get organized: One of the factors that affect the cost of a dumpster is the length of the rental. A seven-day rental is always going to cost more than a three-day rental. Moving quickly with your project is one of your best strategies for keeping costs down. To make sure that a speedy project is possible, you will need to get organized with your project. If you are cleaning out your basement, try to do as much sorting and tidying as you can before the dumpster gets there. That way, you know exactly what you are throwing away and exactly what you are keeping. If you are renovating, coordinate schedules to make sure your crew is ready to start work as soon as the dumpster arrives. Asking friends or family to help with your project is another way to expedite things. Don’t rent too much dumpster: Do you get the 12-cubic yard dumpster or the 30-cubic yard dumpster? Especially for residential projects, it’s better to choose smaller dumpsters. You might think you need more space, but you’d be surprised at how much junk you can cram into a 10 or 12-yard bin. Renting a bigger dumpster will not only make it more difficult to fit the thing into your driveway or outside your apartment building, but will also cost you more. It goes without saying that larger dumpsters cost more to rent than smaller dumpsters. Avoid flat-rate pricing: Many dumpster rental companies bill a flat-rate. In other words, you will pay this much for a 10-cubic yard dumpster, this much more for a 20-yard bin, and this much more for a 40-yard bin. The problem with this system is that, if you don’t end up using all the space, you still end up paying for it. If you’re dedicated to finding the most affordable dumpster rental out there, your best bet is to find a company that bills according to how much space you actually use. That way, your dollars aren’t going to waste. Choose a dumpster rental close to your home or business: You can get a dumpster delivered to just about anywhere, be it a home out in the suburbs or an office in the heart of Albany. However, remember that those deliveries (and the dumpster pickup/retrieval, which happens at the end of the process) are part of what you are paying for with your rental. The further the dumpster company must travel to deliver or retrieve your bin, the more you are going to pay. Keep geography in mind as your shop for a dumpster rental. Ideally, you want to end up with a rental company that isn’t too far from your home or business. Read online reviews: Some businesses have a bad habit of hitting their customers with hidden fees after a service agreement has already been signed. Dumpster rental companies are not unique in this regard, unfortunately. Still, when renting a dumpster, you need to recognize that hidden fees or unexplained charges are things you may encounter. The good news is that customers don’t typically react positively to these unfair pricing policies and are willing to tell the world. Reading customer reviews online will tell you which dumpster rental companies do well by their customers and which ones engage in questionable practices like hidden fee pricing. 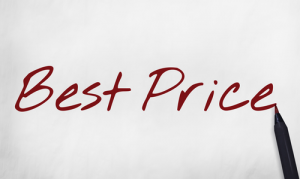 Get price quotes: As you research dumpster rentals in Albany, make sure to request price quotes from a few of the companies that look best to you. Any reputable dumpster rental business will be willing to give you a price quote based on your location, the length of your rental, the size of your bin, or your estimated junk load. Some businesses will even provide tools or services to help you estimate how much junk your project will generate. Going through the quote process will let you know what your expectations should be regarding price, while also helping to identify the most affordable options available to you. While keeping things affordable is a wise priority for any project, it shouldn’t necessarily be your only focus. Shopping based on price alone will almost always result in an inferior product or service. You should look at other factors as well as you shop, to make sure you are getting a dumpster rental that meets your needs. For instance, consider what you are planning on putting in your bin. Every dumpster rental company has a slightly different list of items they allow you to put in your bin. You don’t want to get a dumpster rental that doesn’t allow construction waste if you are planning to use it for a renovation project. Be cognizant of these limitations and how they may affect you. It’s also a good idea to think about sustainability. Landfills in the United States are filling up at an alarming rate, and we all need to do our part to slow down the trend and protect the planet. Dumpster rentals, at face value, do not align with this mission. Many dumpster rental companies take their junk loads and deliver them directly to the closest landfill. However, there are greener dumpster service businesses out there. These companies sort through each load of trash they recover, taking care to extract items that can be recycled, donated, repurposed, or otherwise reused. Looking for a dumpster rental service with this sort of green-friendly initiative may not save you money, but it will result in a more ethical service. Especially if you are getting rid of many items that might be harmful if deposited in a landfill—such as electronic waste or old appliances—going the recycling route is a must. Dumpster rentals can make DIY home improvement or office relocation projects much, much easier. Whether you are moving your business to a new location, tidying up the house for a spring cleaning exercise, or renovating the main floor of your home, you need somewhere to throw things away. A rental dumpster provides a perfect spot. By following the strategies in this guide, you can find cheap dumpster rental prices and keep your project on a strict budget. This entry was posted in Cleaning Up America, clear clutter, damaged furniture removal, dumpster rental and tagged debris removal, disposal of concrete, dumpster rental, foreclosure clean out on July 19, 2018 by Julian Torres, "JT". Last updated December 10, 2018 .